I never thought we would end up like this. 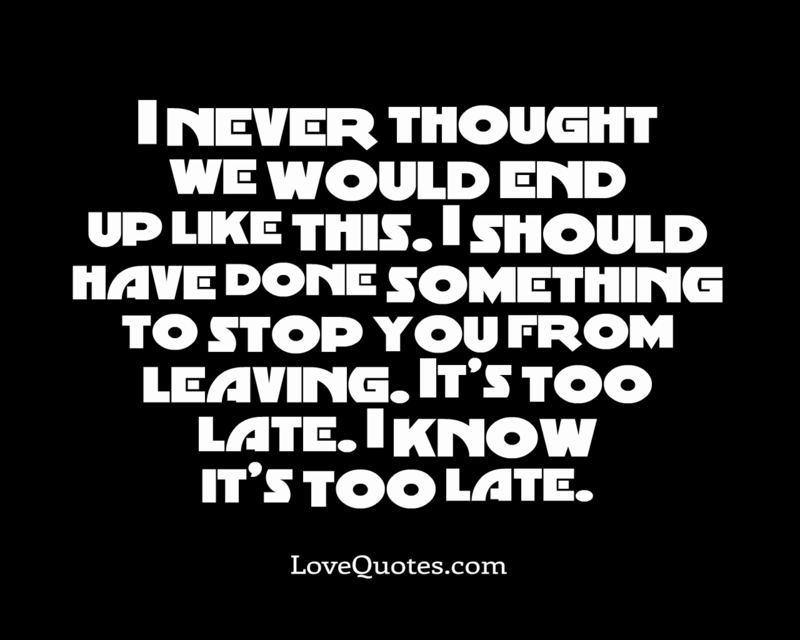 I should have done something to stop you from leaving. It’s too late. I know it’s too late.